GEL Laboratories is widely regarded as one of the largest, most proficient, and best-equipped commercial radiochemistry laboratories in the United States, and one of the few labs certified to perform radiobioassay testing to determine radioactive exposure to workers. We specialize in providing radioanalytical services to clients who need accurate data to make informed decisions. Our flexibility in meeting special needs has been tested and proven throughout our history. 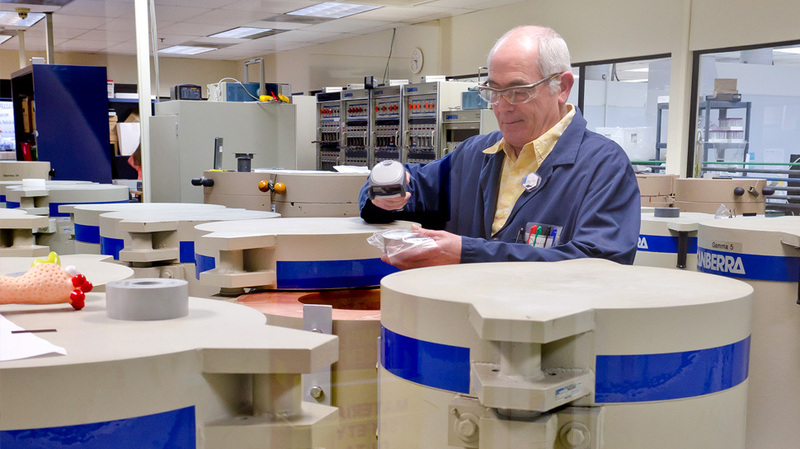 Extensive third-party testing confirms the reliability and accuracy of our procedures —many of which are now in use at major radiological sites across the United States. This technique is used to evaluate radionuclides that emit alpha radiation. These elements tend to be the most dangerous and harmful to the environment. GEL uses very rigorous digestions to separate the element of interest and separate it chemically from other potential interferences. Once the separations are completed, samples are concentrated and analyzed with silicon surface barrier detectors. This technique is used to evaluate radionuclides that emit gamma radiation. These elements are typically seen around nuclear power operations. GEL uses very detailed sample preparations to make sure solid samples are homogenized and in a calibrated configuration. Samples are concentrated and then analyzed with high-resolution germanium detectors operated under cryogenic conditions. This technique is used to evaluate radionuclides that emit lower energy beta radiation. GEL uses specific analytical chemistry techniques to separate the element of interest and separate it chemically from other potential interferences. Once the separations are completed, samples are concentrated and analyzed with liquid scintillation counters. This technique is used to evaluate radionuclides that emit higher energy beta radiation. GEL uses specific analytical chemistry techniques to isolate the element of interest and separate it chemically from other potential interferences. Once the separations are completed, samples are concentrated and analyzed with gas flow proportional counters. This technique is used to evaluate radium 226. This technique uses the radon 222 decay "daughter," which is a volatile gas. The radon gas is swept into a Lucas Cell for analysis. Pioneering research. We have developed innovative methods to provide information for routine to highly customized analysis. For example, GEL has been involved in studies to determine cesium 137 in bee pollen, thorium isotopes in automotive headlamps, and the amount of trace plutonium in uranium compounds removed from a decommissioning project. GEL has been a pioneer in the development of many proprietary radiochemistry methods based on Department of Energy and Environmental Protection Agency reference methods. These analyses are available on a wide variety of matrices including water, air, filters, sediment, vegetation, milk, biota, bioassay, and waste materials. 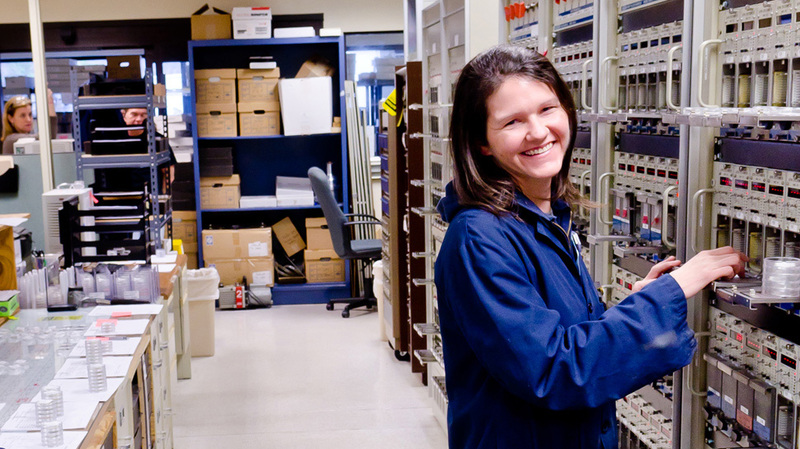 Radiological instrumentation is maintained to the exacting standards of the regulatory community. We pay careful attention to calibration intervals and closely scrutinize daily performance. GEL offers highly defensible and reliable data able to withstand the rigors of any data validation or regulator’s / public-interest group’s scrutiny. We also maintain redundant equipment to be sure we can meet client commitments. Currently our count rooms are equipped with 51 high purity germanium detectors, 384 alpha spectrometers, 11 liquid scintillation counters, 2 kinetic phosphorescence analyzers and 96 gas flow proportional counters. This capacity allows for a large quantity of samples to be processed in a short time interval. 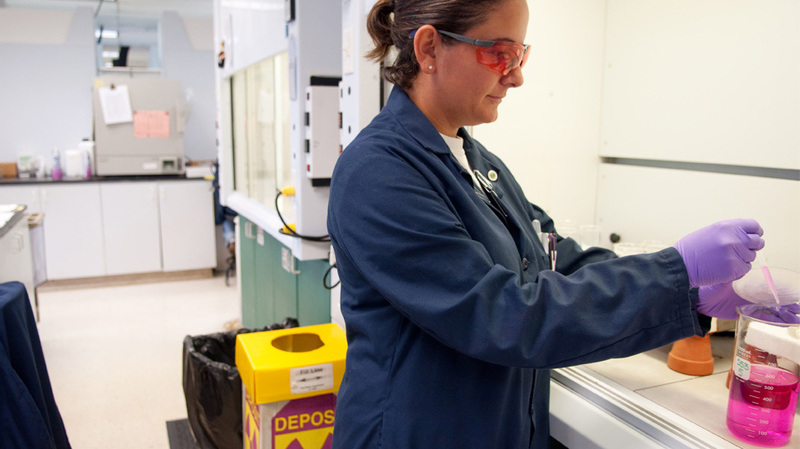 GEL is a major provider of radiobioassay analysis in support of radiological worker safety. Our clients use data from worker urine, feces and nasal smears to ensure safe working environments are maintained. Radiobioassay analysis is performed in a separate facility to ensure results are not compromised. All analyses are performed and documented according to the performance criteria standards of ANSI N13.30-2011 “Performance Criteria for Radiobioassay.” In order to ensure the highest quality of data reporting, GEL participates in performance evaluation programs such as Procorad, UT-Battelle at Oak Ridge National Laboratory, and the National Institute of Standards and Technologies (NIST). Samples that contain higher activity levels are handled in a special Level II facility. Level II samples are often waste samples from nuclear power facilities and include process materials, resins and other waste products. We have provided extensive analytical support for decommissioning projects and active nuclear operations. The Level II laboratory is completely segregated from the radiobioassay and environmental laboratories and is designed to maintain strict control of materials and to protect our employees, facility, and the environment. The laboratory utilizes filtered fume hoods, glove boxes and equipment to outfit a complete radiochemistry laboratory. The laboratory is staffed with highly trained analysts specifically equipped to perform difficult analytical chemistry on challenging Level II samples. GEL's entry into the radiochemistry business began with "environmental" samples that are relatively low in expected radioactivity. The largest component of our laboratory operation is now devoted to low level radiological monitoring. Nuclear utilities required to perform site monitoring use our services to quantify radioactivity in a variety of environmental matrices. Other low-level monitoring is also performed in this laboratory including drinking water monitoring, sedimentation studies and site surveys. GEL is registered with the U.S. Department of Agriculture to receive foreign soils and plants and this has enabled our laboratory to perform environmental projects in numerous other countries. Soils, air filters, vegetation, milk, fish and water samples are routinely processed for natural and man-made radioactivity in our environmental laboratory.